Scars and Marks Thrasher has the following tattoos: "Thrasher" written in old English-type script on the inside of this right forearm; a one-inch wide "rope" with a knot around his left bicep; a tattoo across the back of his neck; and a tattoo of the initals "JT" centered across his lower back. 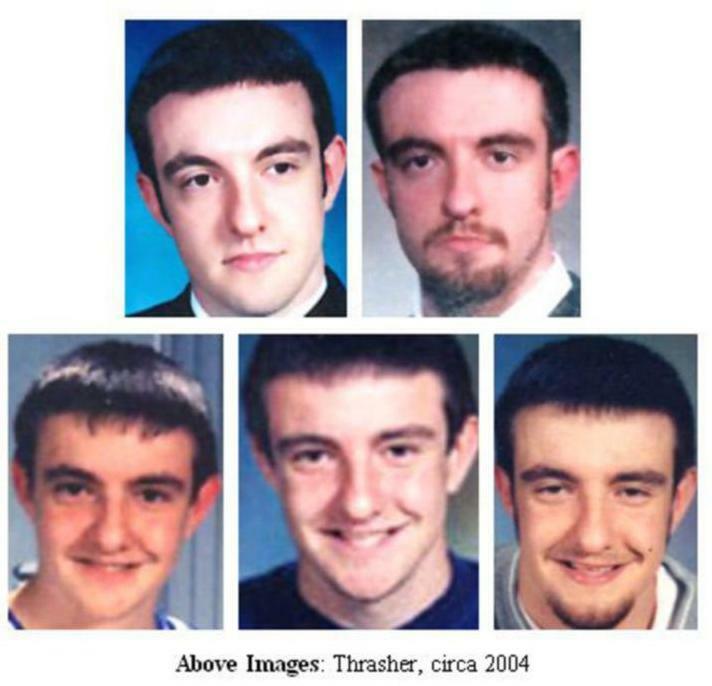 On Monday, August 16, 2004, Johnathan M. Thrasher was reported missing. He was last seen at the 800 block of Bunker Hill Road (Putnam County Fair Grounds) in Cookeville, Tennessee, on Saturday, August 14, 2004. Thrasher was last seen wearing blue jeans and a white shirt with an unknown logo.